As the Motor City faces the era of autonomous mobility, spiritual heirs of Charles Brady King and Henry Ford will write code, tune a robot, and design a vehicle. But how will Detroit create and attract the multidisciplinary talent to expand on its standing as the automotive capital of the world? Colin Curry looked at LinkedIn last summer and found something he liked at Flex Ltd.’s design center in Farmington Hills. The Singapore-based supplier offers design, engineering, manufacturing, supply chain, and logistics services for an array of industry sectors, including work on an autonomous-vehicle project. Curry, who is 35 years old and holds a master’s degree in automotive engineering from Clemson University, had worked for six years doing electromagnetic compatibility testing on avionics systems at Garmin’s home location in Olathe, Kan., but he found himself dreaming. He landed the job at Flex, and last October he rented a house in Huntington Woods and started a new routine, commuting to and from work on I-696. “For lots of people who aren’t able to afford a vehicle or can’t drive anymore, to be able to get a ride in an autonomous vehicle, it could be a massive change,” he says. Arriving at a time of uncertainty and upheaval, Curry represents a victory for Detroit, proving the auto industry’s continued appeal to well-qualified engineers. But will there be enough for the Motor City to stay on top? and computer science, a new level of cross-functionality. 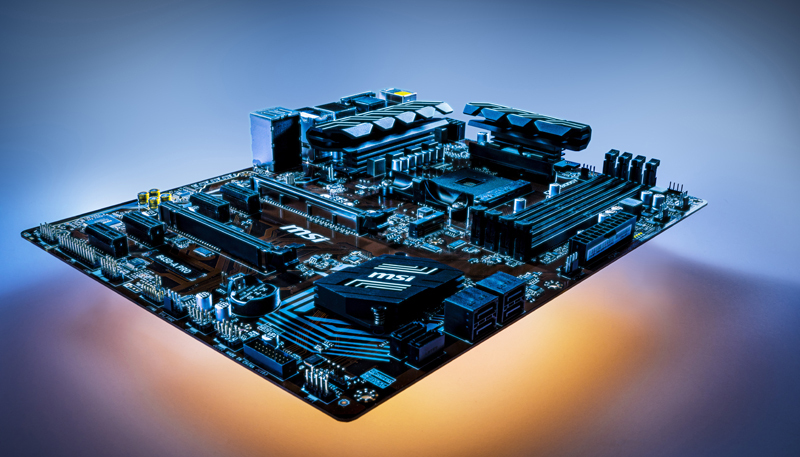 Like a translator with a background in several languages, engineers and technicians must be familiar with robotics, cybersecurity, artificial intelligence, machine learning, and more. In a 2017 report, Deloitte estimated that by 2040, up to 80 percent of passenger miles traveled in urban areas could be in shared autonomous vehicles. Promised benefits include smoother traffic flow, fewer accidents, improved mobility, and the reduced necessity to own a car. There has been intermittent hand-wringing and a lot of scoffing about whether Detroit can compete with Boston, Silicon Valley, Seattle, and even Austin, Texas, to attract, refine, and retain talent. To date, large OEMs have relied on buying startups or entering partnerships to gain specialized expertise, while at the same time boosting their attraction rate by offering flexible work environments and enhancing internal training and mentoring rotations to be best in class. On the investment front, Ford Motor Co. has committed $1 billion to Argo AI in Pittsburgh and folded it into autonomous mobility initiatives. General Motors Co. acquired Cruise Automation in San Francisco in 2016, and this year is launching the autonomous Cruise AV; the vehicle is being tested in a pilot program with DoorDash to deliver restaurant takeout orders to hungry San Franciscans. The supplier Aptiv, of Troy, plunged in as well, acquiring M.I.T. spinoff nuTonomy for its capability in autonomy. How far this strategy will carry remains to be seen. Some observers, though, say buying talent won’t be enough — and, in fact, because of market capitalizations that dwarf those of legacy automakers, Big Tech makes Big Auto vulnerable to hostile takeovers. Consider that, in January, Google’s Waymo division for autonomous mobility announced it would open a technology integration facility in southeast Michigan (an exact location has yet to be announced) in partnership with supplier Magna to equip Chrysler Pacifica minivans and Jaguar I-Pace electric vehicles with self-driving hardware. Could this be the encroaching Trojan horse? Before anyone hoists a white flag, it should be noted Detroit has long given its own unique twist to mobility. An early example is the fierce competition that led, in 1873, to a profitability crisis among steamers ferrying passengers over the Detroit River. John Horn, owner of the new side-wheeler Ulysses S. Grant, hired a German band to oomph and pah onboard his vessel. Passengers proliferated, gladly paying 10 cents for dancing, and Horn soon paid off the Grant’s construction loan. Ford is investing $1 billion in Pittsburgh’s Argo AI to advance its mobility platform. Two decades later, Charles Brady King drew plans for a road carriage that differed from four-wheelers created by his precursors, the Duryea brothers and Elwood Haynes, in a key aspect: Instead of a tiller for steering, King located a wheel on the left-hand side, copying the idea from hook-and-ladder firefighting rigs. It took a while to catch on, even in 1895. 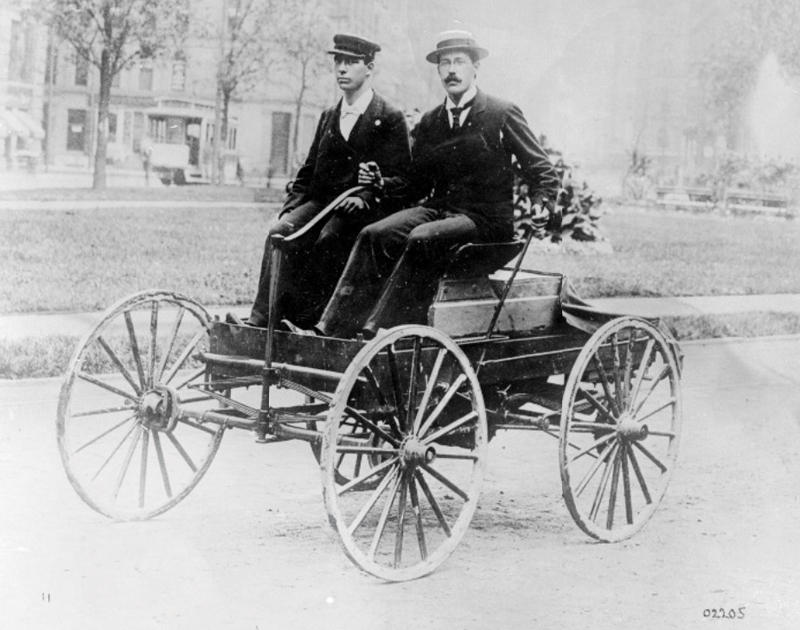 When King and his assistant, Oliver Barthels, tested their car, the first in Detroit, King guided its progress with a tiller, forsaking the still unproven wheel. Within the next decade, the steering wheel became the standard for driving. Refinements in mobility went beyond the auto industry. Part of the genius of Motown Records was to emphasize Jack Ashford’s tambourine in the production mix, considering how this instrument stood out on a 1966 Plymouth Barracuda’s meager audio system. Recent developments on the mobility front are encouraging. Take the January announcement of the new Michigan Mobility Institute. An outgrowth of the Detroit Mobility Lab, which was founded last May, the MMI is led by Jessica Robinson, a veteran of the Zipcar car-sharing service and Ford Smart Mobility. It will start by offering a master of mobility degree. 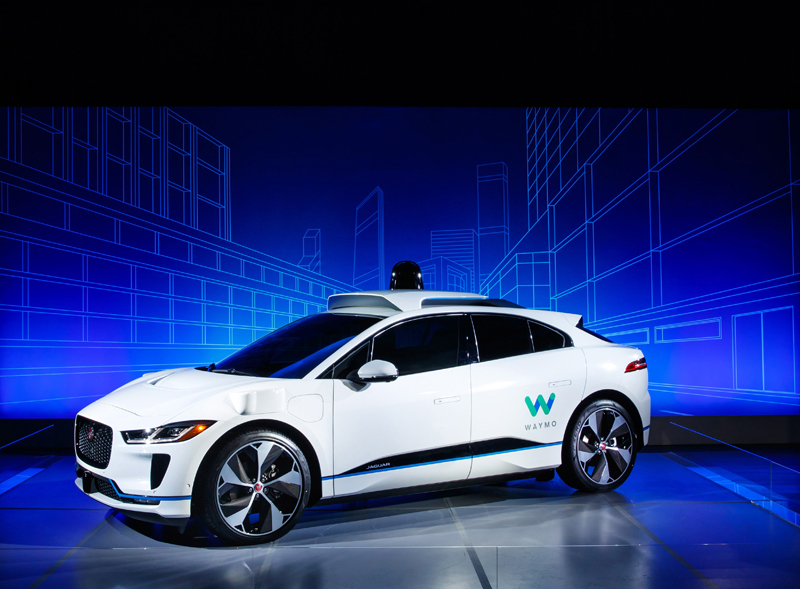 Waymo is integrating its autonomous vehicle technology into Jaguar I-Pace electric vehicles (shown), along with Chrysler Pacifica minivans. At long-established institutions, adaptation is well underway. In the dean’s office at Wayne State University’s College of Engineering, Farshad Fotouhi heard MMI announced and perceived “a big role for us in that institute.” Yes, the University of Michigan’s MCity in Ann Arbor and the American Center for Mobility in Ypsilanti Township operate world-class autonomous test tracks, but Wayne State can offer the streets of Detroit. “We’re getting to the point that industry is demanding that we do testing in a real environment,” Fotouhi says. In April, in partnership with networking services provider Cisco Systems, WSU will open the Digital/SMART Manufacturing Center, which demonstrates connectivity between 3-D printers, laser welders, and robots. One Friday afternoon, Leda Daehler was reflecting on her days as head strategist for the University of Michigan’s Solar Car Team. The 24-year-old Portsmouth, Ohio, native plotted everything from vehicle design to race tactics. She helped lead the team to the 2015 Abu Dhabi Solar Challenge championship, U-M Solar’s first international victory. When Daehler wasn’t preoccupied with race-management efforts like partnering with IBM on an automated cloud-tracking system for maximum energy efficiency, she earned a computer science engineering degree in 2016. Following graduation, she went to work for Ford. For Daehler, getting to know the Motor City, attending art galleries and concerts, and discovering the restaurant and nightlife scene has produced some pleasant surprises. “I definitely enjoy Detroit,” she says. She admits the sheer complexity of the problem intrigues her, too. “No one has figured out the best way to do it.” She likens the quandary to the Solar Car experience. “You totally own the problem as students being empowered to run the team,” she says. Scrappiness, devotion, and entrepreneurial ability have as much to do with success as intellect. Today, Daehler works with another Solar Car graduate, metro Detroit native Arnold Kadiu, on a project at Ford X, which is Ford’s mobility startup incubator. She’s also a “product owner” on FindYourFord.com. Ultimately, the business is about selling cars and trucks; the site helps to do that. “It’s totally unrelated to anything I’ve done, ever,” she says. As Charles Brady King drove the first horseless carriage in Detroit, an engineer on a bicycle trailed him. A year later, in 1896, using a few parts from King’s car, a young Henry Ford built the Quadricycle at his shop on Bagley Avenue. Learning the lesson of sharing knowledge, Ford Motor Co. has a long history of training workers for the tasks of today and tomorrow. 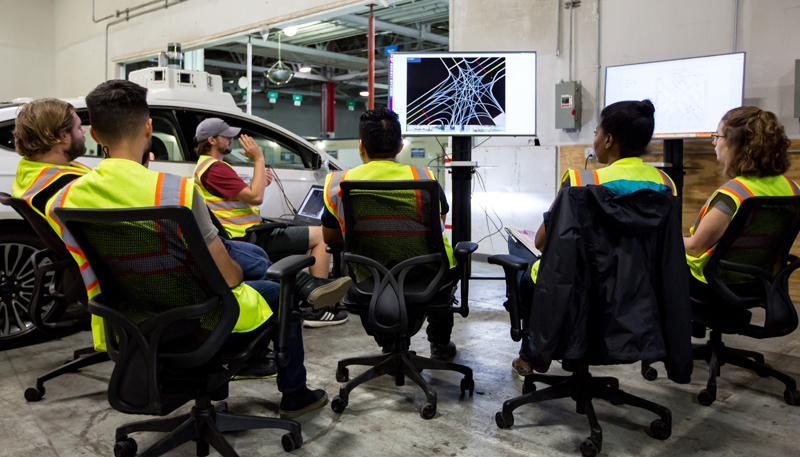 Offered in various forms and disciplines throughout the company, new hires and employees take rotations in, say, the Ford College in Autonomous Vehicles. The rotation include access to such subjects as artificial intelligence, connected vehicles, Ford Labs, Sync, human-centric design, or cybersecurity. 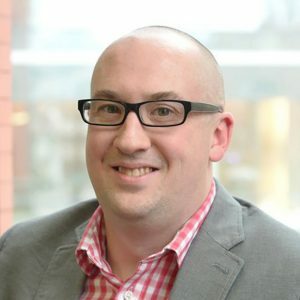 Bryan Barnhill started at Ford last May and is part of the second cohort of the Ford Business Leader Program, which he likens to an assembly line for multifunctional managers. In a profound, learned voice he spoke of his former boss, Jessica Robinson, and her departure for the MMI. “Jessica will be a strong collaborator. We’re going to need some of the data and research coming out of her group,” he says. As engagement manager at the Ford Smart Mobility City Solutions Group, Barnhill — who is 32 years old, married, the father of two young children, and a resident of Indian Village in Detroit — took a different route to mobility. 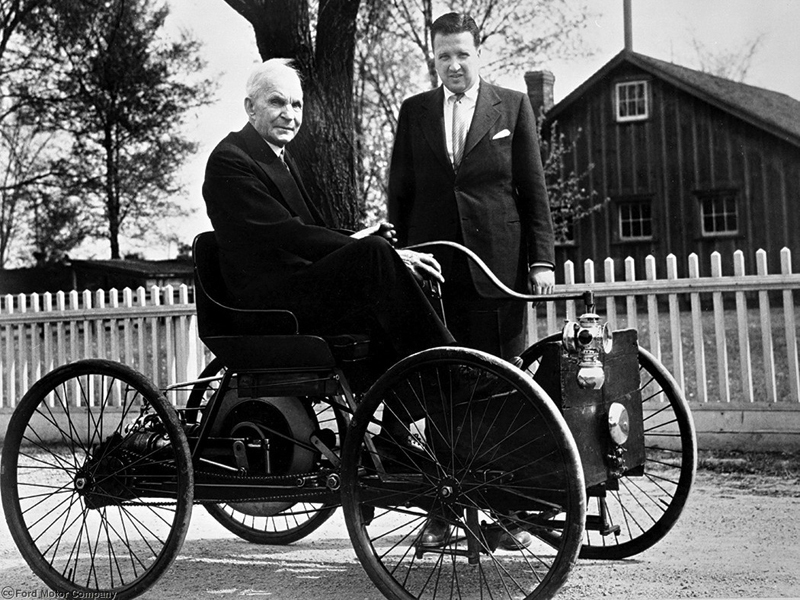 Henry Ford in his 1896 Quadricycle, along with his grandson, Henry Ford II. Early pilots called it Lake Ford because of drainage problems, and their tail-draggers tore up the turf. A concrete runway was announced in December of 1927, and just over two years later two of them — the first in the world — were in place at a cost of $90,448. A huge aircraft hangar and a 210-foot-tall mooring mast for airships gave the facility extra dimensions. Detroit’s history of innovation over the last century has contributed to unprecedented mobility worldwide. Forecasts may be doomy, but the great tradition and a plethora of untapped resources suggest otherwise. Barnhill advocates pushing harder to develop existing talent by creating “pipeline programs” within the community. “That all adds to the richness of creating an ecosystem for innovation,” he says. And there’s the city’s unique heart and soul, which has produced not only the world’s most diverse manufacturing industry but also creative ferment in art and design. We think of Motown Records and singers like Smokey Robinson and Diana Ross, poet Philip Levine, novelist Jeffrey Eugenides, and couturier John Varvatos. Charles Brady King mans the tiller of his first horseless carriage. If failure ensues, it won’t come from a lack of vision. To borrow an image from the inland waterways, business and education leaders are opening the locks to allow passage into the next era. For Detroit to succeed in the autonomous world, the region and state must work much closer with families to provide opportunities for a robust education that actually leads to the “jobs of tomorrow.” Training the next generation goes hand in hand with offering cool places to live, work, and play. Combined, the energy of many working as one will further attract artists, college graduates, inventors, engineers, and investors, along with businesses and startups. The track record is clear. Consider that in 1912 Walter P. Chrysler, a native of Kansas, came to town by way of Pittsburgh and worked for Buick before founding Chryssler Corp. In the same vein, GM was built on local talent mixed with a few imports. 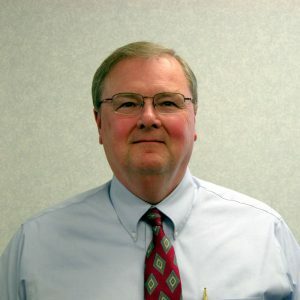 Among its executive leaders, Charles “Engine Charlie” Wilson hailed from Ohio, while the great salesman Harlow “Red” Curtice grew up in Eaton Rapids and graduated from Ferris Business College (Ferris State University). Engineering whiz Ed Cole, known for his slogan “Kick the hell out of the status quo,” was from a village near Grand Rapids. Every now and then, an M.I.T. graduate like Alfred P. Sloan, who ran GM from 1923 to 1956, interceded and reset the dials. It still seems like a good formula and, as with adjusting a carburetor’s idle setting, it may just need a little tweaking. MD: I commute via the bus and get around via all different modes of transportation during the day. I walk, take MoGo (shared bikes), take the bus to a number of locations. I get car-sharing when I need to make a trip out to Ann Arbor or Lansing. I function successfully in my everyday life without owning a vehicle. DB: Can you define micro-transit? MD: It’s a service that can complement our traditional fixed-route transit vehicles. We have a number of lower-density areas, but they still have mobility needs. So it entails using a smaller vehicle, ideally with a more dynamic system of scheduling and routing. DB: What is the role of city government in realizing the benefits of mobility as a service? MD: Our residents are burdened with (some of the) highest costs of car ownership, due to onerous car insurance laws at the state level. A lot of folks don’t own a vehicle. At the same time, there are things happening in the city every day. So that’s really what we’re driving toward. How do we get more options out there? And how do we make sure they’re able to benefit all Detroiters? DB: How are we doing on integrating modes of mobility? DB: Do you share the vision of autonomous vehicles, car-sharing, and ride-hailing contributing to less dense traffic and safer streets? MD: The idea that autonomous driving (can be) safer than human driving is extremely exciting, because too many lives are lost due to car crashes. We’re excited about the potential benefits, and we work closely with companies on the future of the autonomous-vehicle mobility industry. The energy in Alan Lecz’s voice makes anyone want to jump up and learn to diagnose and validate the proper functioning of the sensors onboard connected and autonomous vehicles. More than just product development, the need for well-trained new talent also extends to training given in the automotive service program, showing technicians how to incorporate lessons in programming, cybersecurity, and networking. “This is a brand-new field to the general population, including students, no matter where they’re coming from — K-12, or if they have a few years experience in some occupation,” he says. With Lecz beating the drum, there’s no energy shortage.